In regard to the false report saying “KIZUNA GLOBAL Inc. sold KGT on the exchanges”, we profess that the report is not a fact because KYC information is required to deposit KGT into the exchanges and trading histories remain if selling it. As a countermeasure against future troubles, we disclose the wallet address that stores 139,040,848.605 KGT which is not in circulation out of total issue 150,000,000KGT for enabling third parties to check and make a statement on the basis of the fact. Please register your account on KEEP-Exchange and send the name of your KEEP-Exchange account to our official Twitter account @KIZUNA_OFFICIAL ( https://twitter.com/KIZUNA_OFFICIAL ) by DM. We will sequentially distribute to the winners’ KEEP-Exchange accounts. The receiving rights for winners(duration for applying) will expire in 1 month after the release of KEEP-Exchange. About selling KIZUNA GLOBAL TOKEN(KGT) by KIZUNA GLOBAL Inc. Currently, there is FUD saying that KIZUNA GLOBAL Inc. sold KIZUNA GLOBAL TOKEN and this caused price damping. We will disclose our lock-up address by April 26th to prove that KIZUNA GLOBAL Inc. didn’t sell KGT in the market. We announce that we have restored the system down and the KIZUNACOIN explorer is now available. Again, we apologize for inconvenience. You cannot temporarily make remittances because of the down of KIZUNACOIN explorer. We sincerely apologize to KIZUNACOIN community for the trouble. Our Developmental team is dealing with the issue right now. We are going to make an announcement when the issue is solved. we sincerely appreciate your continuous support. We accept the reality of the current price down of KGT, we will proceed to cope with this. Also, we deeply recognize that KGT holders are disappointed and feeling of loss with the price down. We have the policy to protect investors with our best effort and aim at price increase and stability as a medium and long-term strategy of KIZUNA GLOBAL TOKEN project. Moreover, we consider and conduct various measures for the increase in the market price such as preparation for the market price adjustment, trying to minimize the increase of KGT circulation in the market, and burn KGT fees that are paid for listing new tokens on KEEP Exchange. We will be sharing updates of further information about the policies regularly. We are currently concentrating on the development of KEEP Exchange. 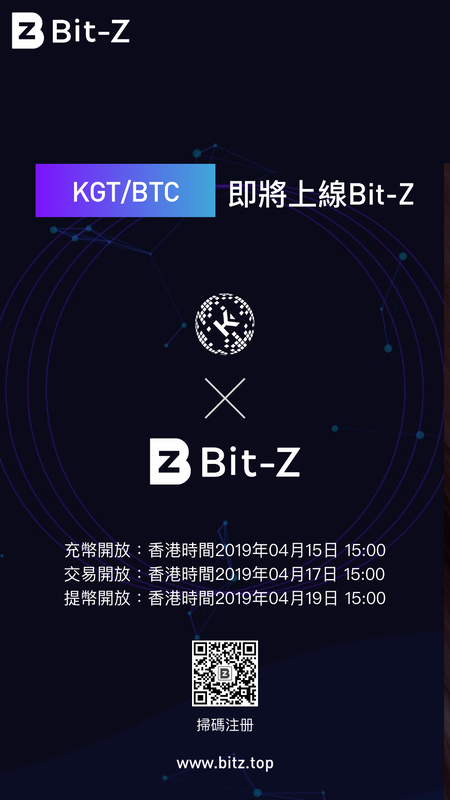 Also, we keep a close watch on the market price change against KIZ and KGT project, and we make our best effort to show the KIZUNA PROJECT as holders’ expectation. 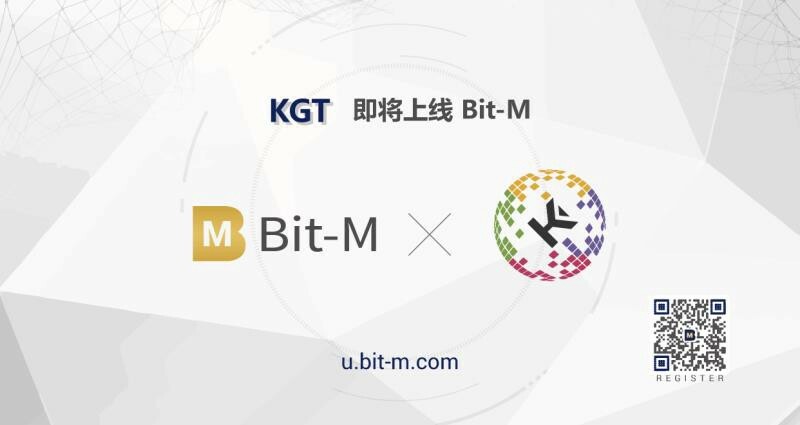 We will introduce articles regarding the listing of KIZUNA GLOBAL TOKEN on Bit-M. The rescheduled listing date is listed below. 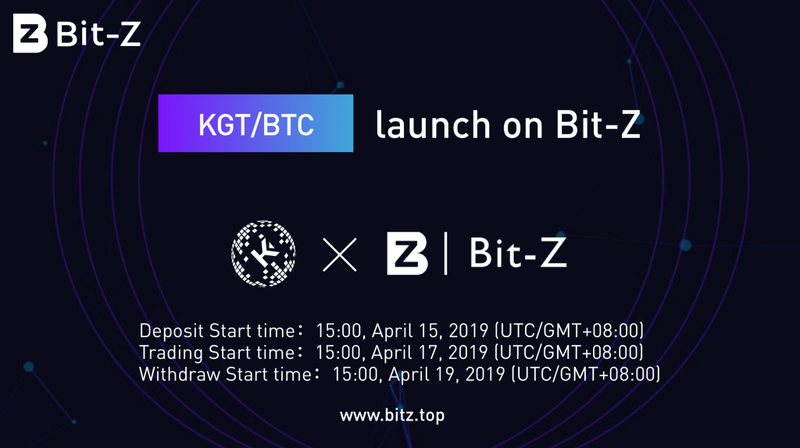 There are no changes in the listing schedules of KGT on Bit-M and Bit-Z. We sincerely apologize to KGT holders for the inconvenience regarding rescheduling of the listing date on Coineal. KIZUNA GLOBAL TOKEN(KGT) is about to be listed on Bit-Z and Bit-M.
KGT will be listed on the same date and time in both exchanges. Please register KYC and your deposit address before making a deposit. If you have already done KYC registration, and need a new wallet address to deposit, please add deposit address from the form below. Please register KYC and your withdrawal address before making a withdrawal. If you have already done KYC registration, and need a new wallet address to withdrawal please add withdrawal address from the form below. KIZUNA GLOBAL TOKEN is going to be listed on the following exchanges. We will let you know further information later. © 2018 KIZUNACOIN All rights reserved.